Welcome to my practice. I’m so glad you stopped by! I work with growth-oriented adults who feel stuck and disconnected, and want more ease, clarity and connection in their lives. I look forward to meeting you! When I was 28, I woke up one day with an overpowering feeling that I couldn’t live one more day like this. Even though I seemed like I had it “all together” on the outside, I felt like a disaster on the inside. My Mom had died suddenly three years prior, and I was filled with anxiety, panic and a sense of hopelessness. Everything I touched seemed to turn to sh*t, especially my relationships. It felt like no matter what I did, I just stayed stuck—stuck in overwhelming anxiety, depression, stress, and most noticeably, recurring unhealthy patterns in my relationships. Even though I was terrified, I decided to make some big changes. The first step that I took involved a deep dive into the energetic and spiritual world, and I became a devoted student and practitioner of yoga, reiki, breathwork and massage. While these practices were instrumental in helping relieve my distress temporarily, my unease always seemed to return once I was back in my daily life—and I could feel the need to delve deeper if I wanted to get at the root of what was keeping me stuck. It was then that I saw a therapist for the first time, and discovered the incredible power of having someone not only hear me, but also guide me through a raw and honest exploration of what was actually driving my feelings, thoughts and behaviours. From that moment, the study of human experience became the most powerful driving force in my life. For the decade that followed, I devoted the majority of my time, energy and resources to self-study—who I was, where I came from, what I’d learned about myself along the way, and most importantly, how I could begin the process of healing my relationship with myself so that I could find more balance, fulfillment and meaning in my life. And it has helped me realize that there IS hope—it is possible for each of us to make sense of our feelings, thoughts and life experiences so that we can live more meaningful and fulfilling lives. I believe that when we dig deep and do the inner work, big shifts begin to happen and we are able to reconnect with who we truly are. Guiding others on this journey is my absolute joy and passion. While counselling is a process and an investment, you don’t have to devote a decade of your life in order to see significant, life-altering change. There is another, more efficient way, and I’m here to guide you. I hold a bachelor’s degree from Queen’s University and a master’s degree in Counselling Psychology from Yorkville University. I have also completed a diploma in Transpersonal Counselling Psychology from Clearmind International Institute, as well as training in Sensorimotor Psychotherapy, a body-oriented approach to working with symptoms of trauma which reside in the nervous system. 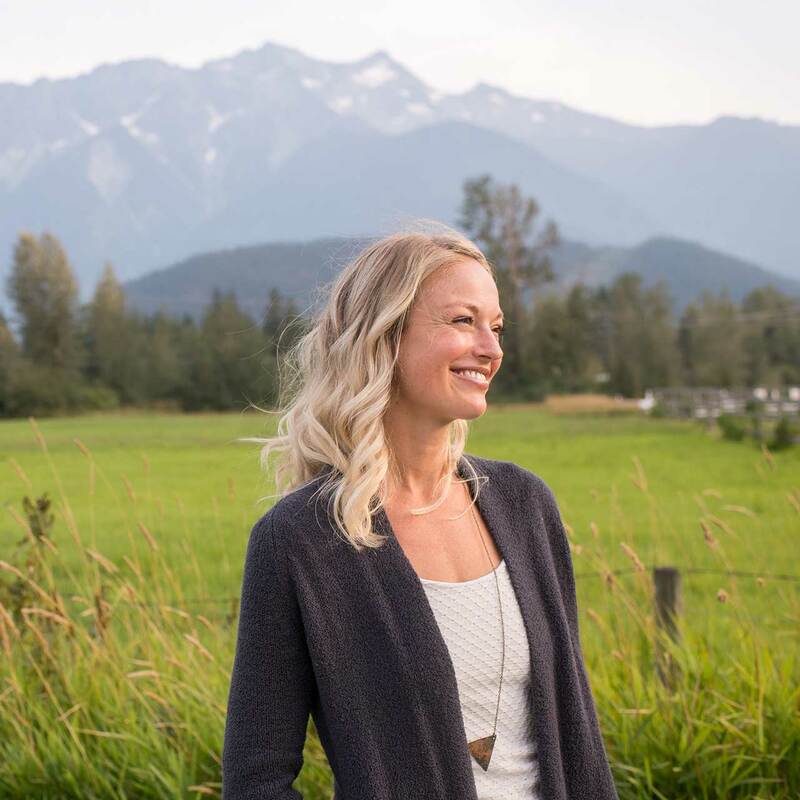 I am a Registered Clinical Counsellor (RCC) with the British Columbia Association of Clinical Counsellors (BCACC), and I work online with clients from my home in beautiful Squamish, BC. I believe strongly in self-care, and when not working with clients, I spend time with close friends and family, and get out into nature as often as possible (mountain biking, trail running, and surfing). 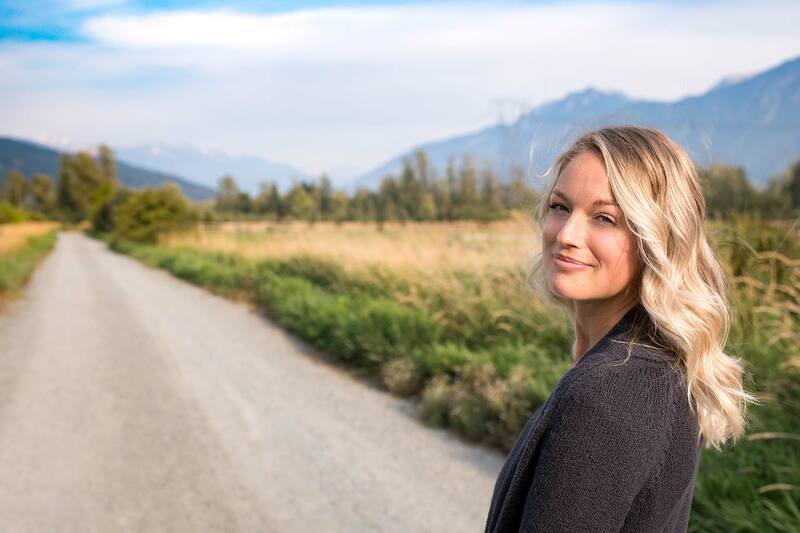 Before deciding to shift my focus to counselling and psychotherapy, I spent a decade practicing and teaching in the wellness industry (mainly as a massage therapist and yoga teacher), and worked in countless settings, including eco-lodges, wellness retreats, heli-skiing lodges and integrative health clinics. This body-based background has given me a deep understanding of the inextricable link between body and mind, which informs my counselling practice.